I just love it when I get to try more than one restaurant in one day. It gives me a lot of happy vibes. 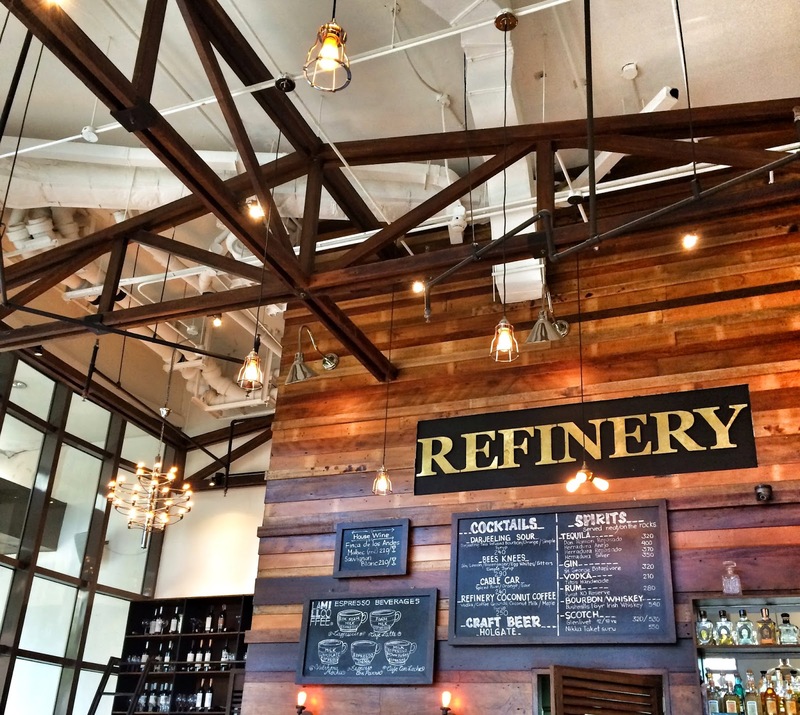 So, when my favorite Dragon Lady agreed to try Refinery after Rambla, my grin reached both ears. For some reason, I thought that this place is a bar or something. I never thought that this place serves good coffee and dessert. Since we were quite full, we were more focused on just ordering dessert and coffee. 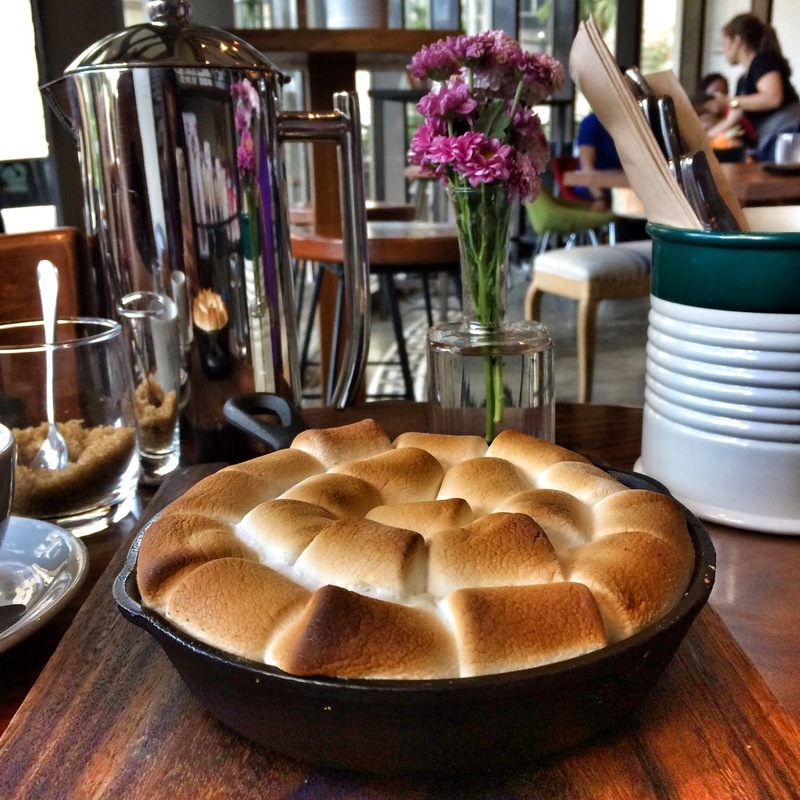 We went with Black Onyx (PHP195, syphon extraction) and a pan of Baked S’mores (seasonal and for limited time only). 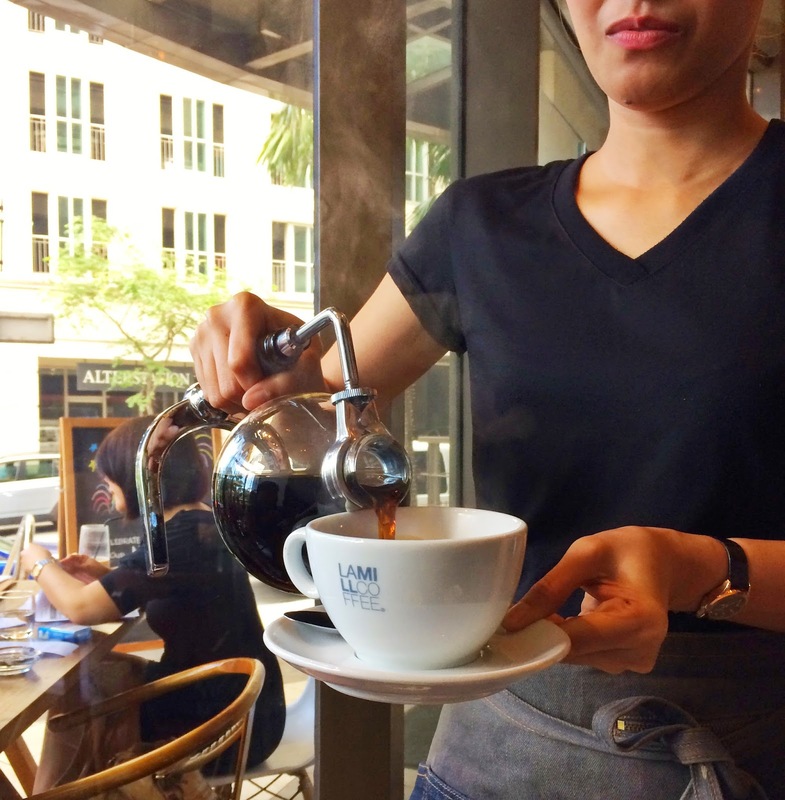 What I loved about Refinery is that we still get the remaining coffee from the syphon. Some coffee shops (e.g. Dolce Latte) only fill the cup and return the remaining coffee back to the kitchen. Soon, our coffee and s’mores were served. T likes her coffee black and an auntie once told me that it’s best to enjoy coffee as is—with no sugar or cream. That way, you get to taste and appreciate the beans. And true enough, Black Onyx was pretty mild. Described as dark roast to highlight deeper caramelized sugars with notes of dark chocolate without the bitter, it wasn’t bitter at all. In fact, it was slightly sweet even without sugar. 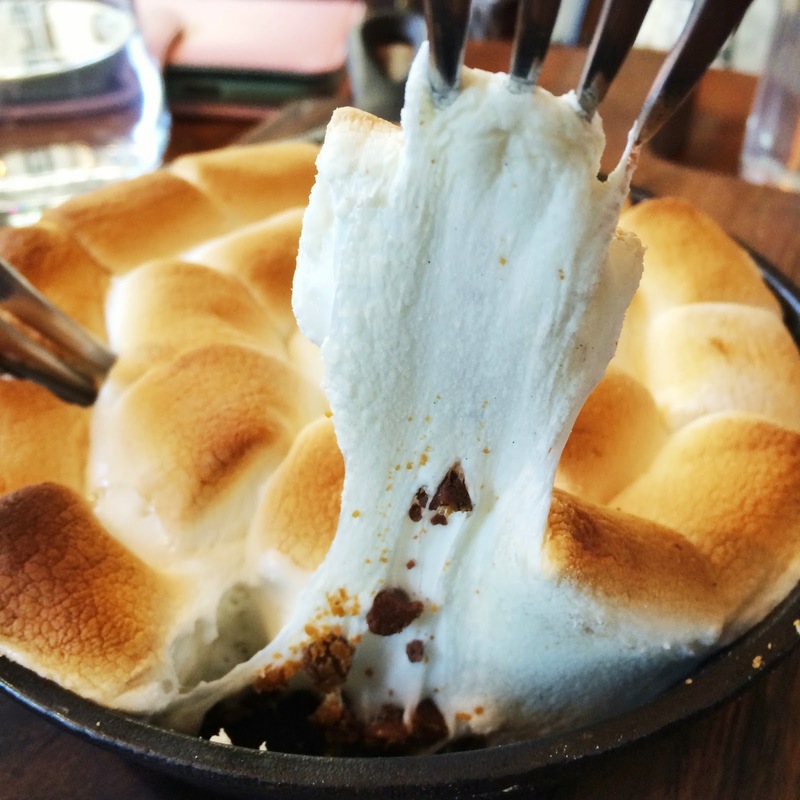 The Baked S’mores on the other hand, was delightful. The serving size was good for a group of 3-5. T and I had a hard time finishing it. I loved that it was served hot (careful with the pan) and the nice contrast of the soft and chewy marshmallow and the crunchy and cinnamon-y graham. T even found bits of Reese inside! Heavenly! I can’t wait to visit this place again soon! I have to try its Smoked Salmon Grilled Cheese sandwich (PHP450) and Cold Cuts and Cheese Platter (PHP520). 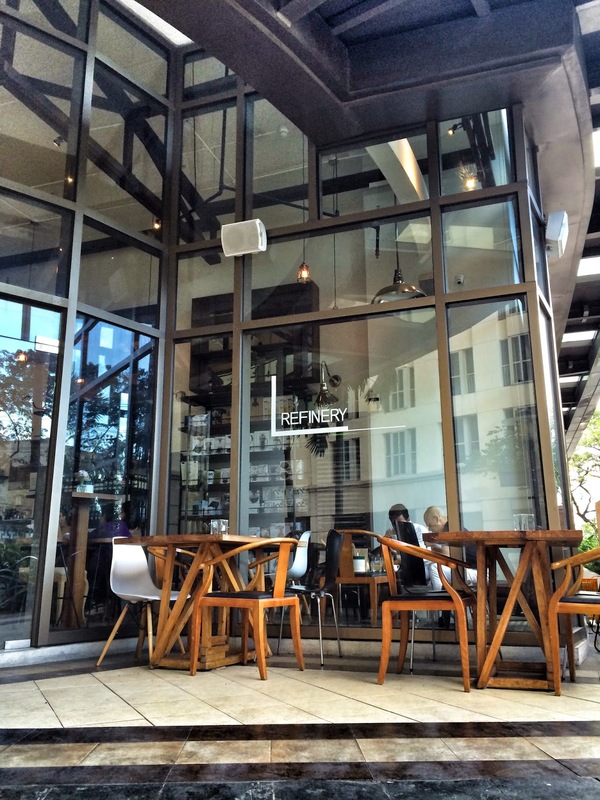 Refinery is located at Ground Floor, Joya Building, Joya Drive, Rockwell Center, Makati City.